This past Thanksgiving marked my 9th since beginning my running career in 2006. I remember driving to Long Beach in 2006 for my first Turkey day race. For some reason, I just knew that people hosted events on the 4th Thursday of each November. Long Beach was only 45 minutes away, and while my run was only a 45 minute 10K, I enjoyed the start to the day. 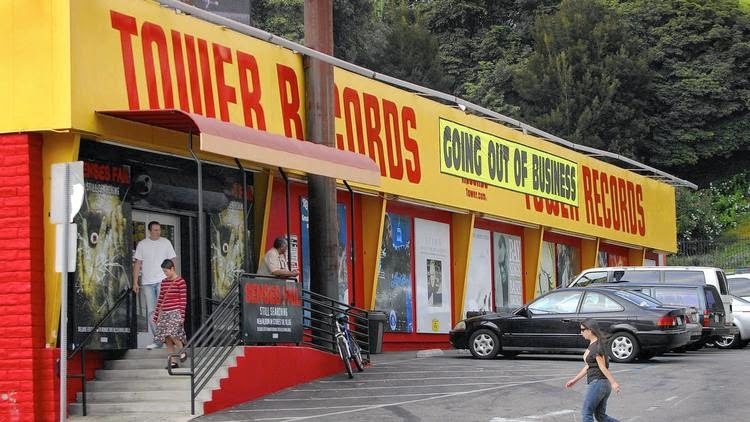 In fact, running on Thanksgiving filled a gap left by the loss of Tower Records. After I earned my drivers license in 1993, I began going to Tower Records in West Hollywood every Thanksgiving. For some reason, this legendary record shop kept its doors ajar on the typical day off. I would start with the video store, move down a few doors to classical then dodge the sparse traffic across venerable Sunset Boulevard to the main establishment. Sometimes I came home with nothing to show for the sojourn, but usually I discovered some new treat. 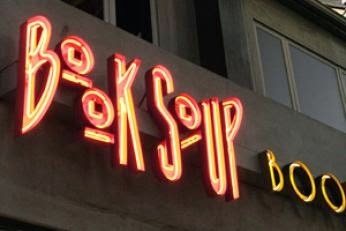 At some point, the store Book Soup entered the morning routine. I first discovered the Dark Tower series there by Stephen King. Even when in college, if I returned home for the holiday, Tower figured into the Thursday plan along with football and food. In any case, when I analyze why these outings engendered such regular behavior, I really think at the core is a desire for a newness. A surprise find. A revelation of some kind. So, Thanksgiving dawns often with a new running goal. I am not as regular with races these past 9 years as always finding a brand new goal, but I believe I have run every Thanksgiving since 2006. 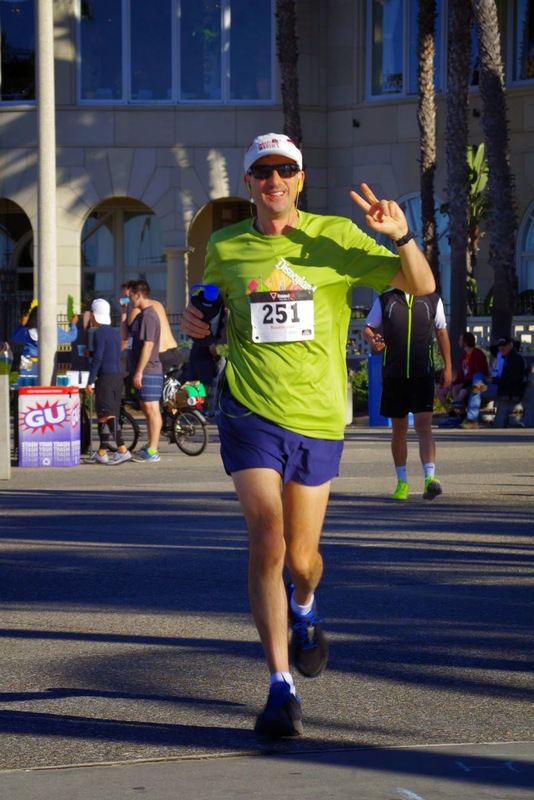 This year, I decided to find a new challenge, and thanks to the small, but well run local running outfit “A Better World Running,” discovery occurred. Operated by Mark and Michelle, a Better World Running is a successor to another running group in So Cal. 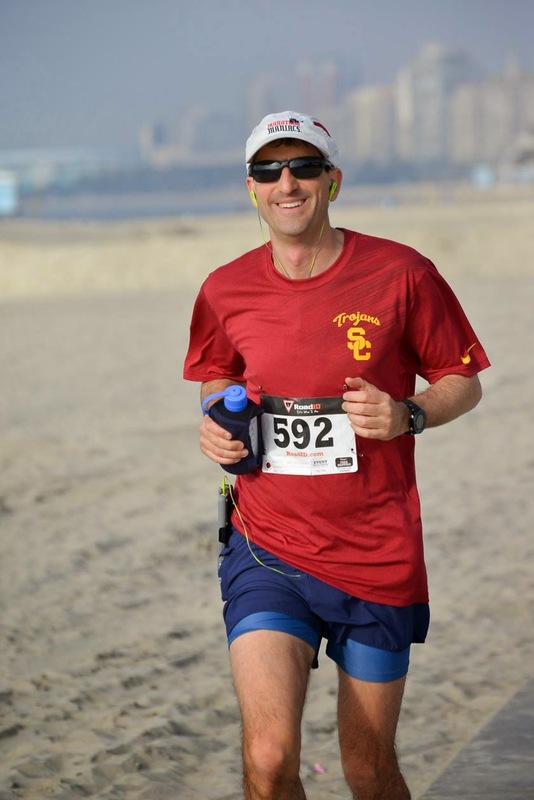 I ran one of their races in Santa Monica in 2012 as I trained for my 50 mile run. Their races take place on numerous beach bike paths. The runs are supported by aid stations, and the atmosphere is very relaxed. Super friendly in fact. This year, they hosted runs on all 4 days of the long weekend. Being only in town for three, I opted for my first ever back-to-back-to-back half marathons. Whilst I have twice completed two marathons on sequential days, I have never done 3 halves in a row. To be honest, at my training level, this should not be an issue, but until the laces are tied and the 13.1 miles crossed each day, the outcome is unknown. The first event took place conveniently enough in Santa Monica. Three 4.37 loops from just south of the Santa Monica pier north to just after the California incline comprised this course. The loop courses allow for you to pass many of the over 100 participants running a range of distances from 5k to marathon. You see others with their tiny bibs pinned to their running gear and give a wave or nod or cheer. While the course it open and cyclists and other runners weave around you, there is a sense of communal experience. I took the first day in just over 2 hours. I do have to say that the third lap was anticlimactic. There was a sense of having been there and done that - partly due to the three laps and partly as I run this area all the time. Given the 6:30 start, I was back at home and watching football at 9:30, finisher medal in hand. The next day required the longest drive and in fact I was unsure how to time the 60 miles to Huntington Beach and probably got up too early. In any case, I sat in my car for a few chilly moments before embarking on the two lap course south and back between Seal Beach and Huntington. I had never run this area before, so there was enjoyment at seeing the Pacific from this vantage point. The crowd today was smaller given the Friday, but it was still fun and I pulled in with a 1:59 time, happy to have compiled the 2nd race faster than the first. Another medal in hand, and I was back at home to get some work done. The last day for me was a Saturday. As I was flying off to the UK that afternoon, I got up early to push myself a bit towards GMT. That corresponded with the Arsenal Football match at 4:45 AM and I was able to watch a fair bit of it before driving to Long Beach. This course started exactly where my very first Turkey Trot had occurred. I didn’t realize what a treat returning here would be. Long Beach has been improving their bike paths and beach areas, necessitating the closure of some sections. Mark and Michelle had anticipated running us south, but after scoping the course the day before, they found we could run north instead. 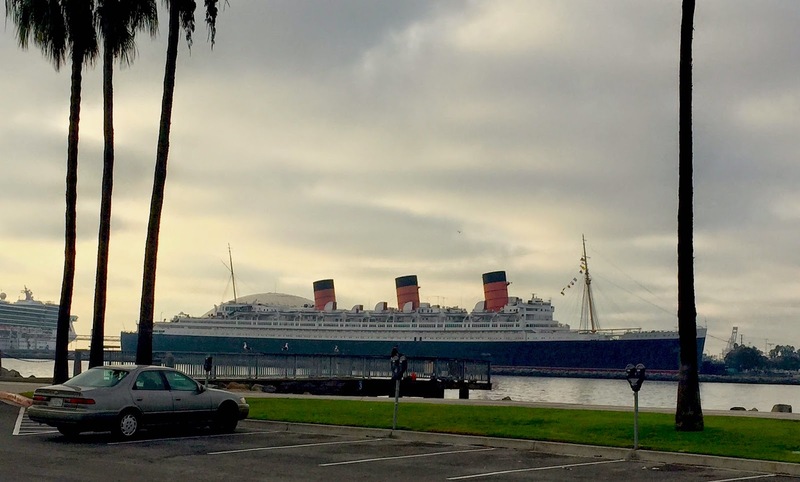 What was great about this is that you run towards the Queen Mary - the venerable icon of the Long Beach Harbor. You can pretty much see it from everywhere, but the course included the spit of land of that juts into the water just across from the vessel. I really did not realize it until I got near the end of the 6.55 mile first loop. The cloudy morning, perfect for running, still afforded a lovely view. And getting to run the second loop was a treat too as the sun have poked out and the ship was a wash in light. As I zipped in with final time of 1:59:58, Michelle handed me a specially made trophy complete with my name and the logos of the three races: The Turkey Trot, The Turkey Trek and the Turkey Dash. 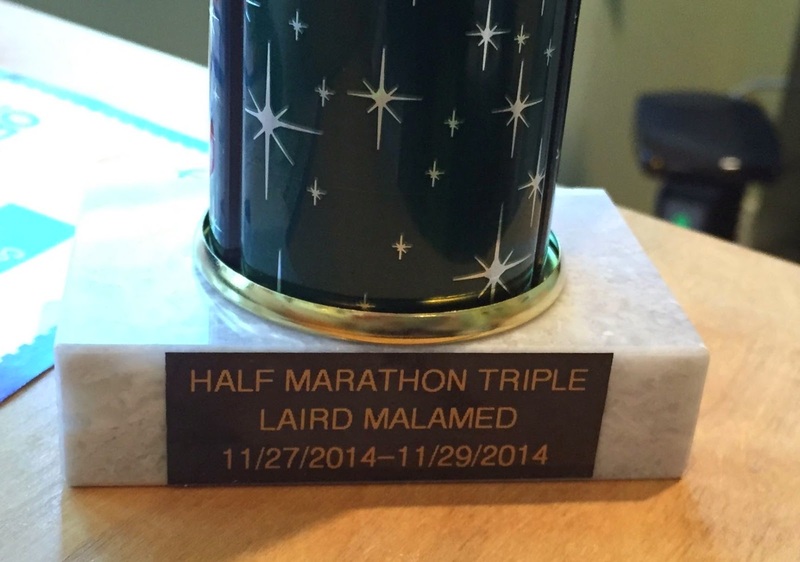 A tradition of running rewarded by a new goal sated (and a new level in the Half Fanatics online run club!). Next year, who knows what I will do. Other than run of course. Ironically, I did not have turkey at all during the weekend. In fact, I had salmon all three nights before each race which is in fact my traditional post long run food. It’s my turkey of the sea I guess.